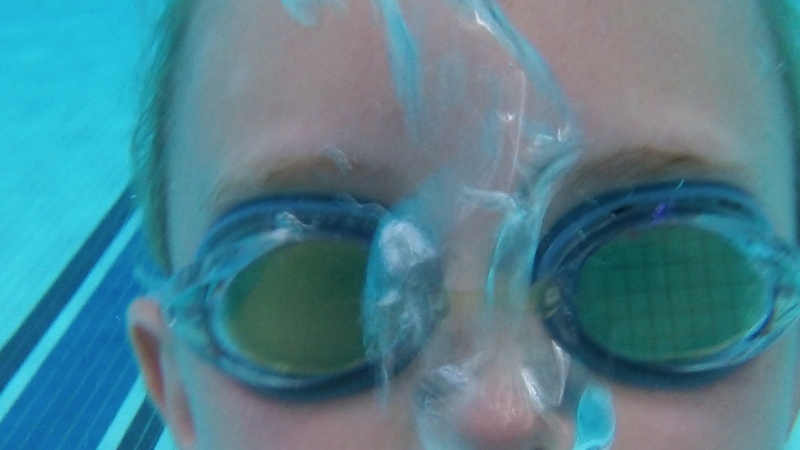 I debated about using photos of my children in sports. 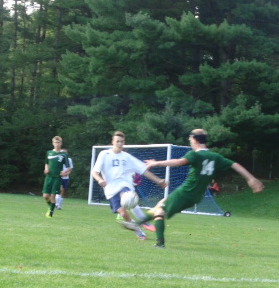 Swimming, tennis, soccer, and diving all have their graceful moments. 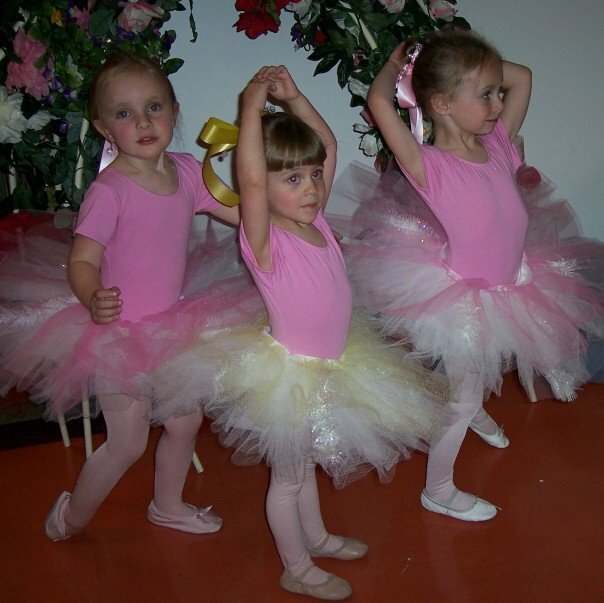 I also have little ballerina pictures. Ballerinas are the embodiment of grace. Mine is the one trying to curtsey. But I knew immediately which photo spoke grace to me. The trouble was finding it. 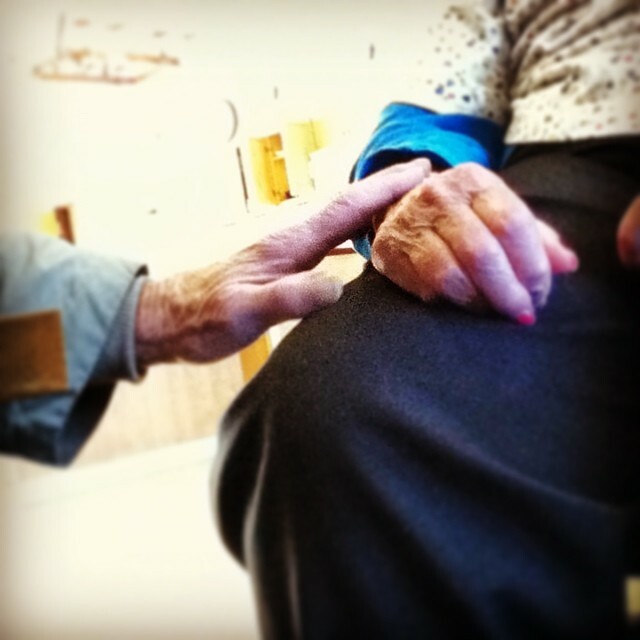 It was a picture of my father taking care of my mother. He visited her every day. Twice a day. He fed her. 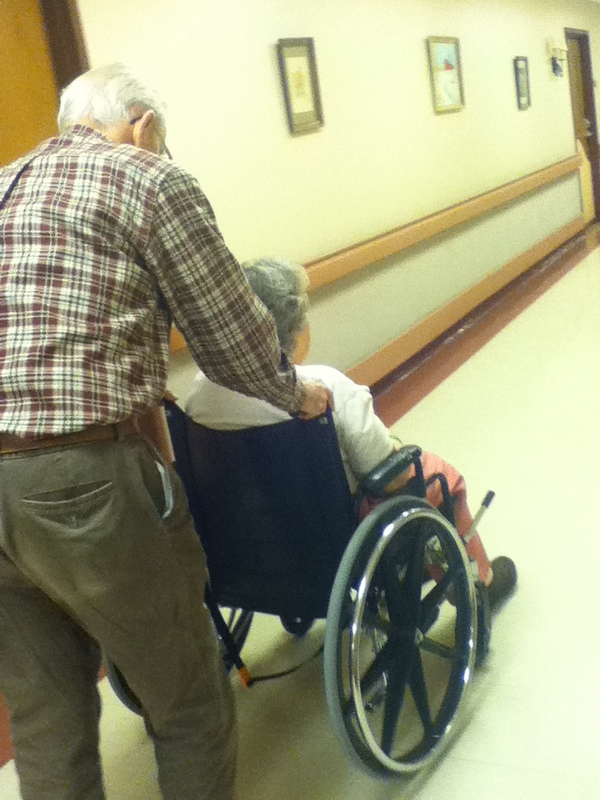 He pushed her wheelchair on walks. This was after my brother passed away. He went to tell her the news that her oldest child had died of a heart attack. Because of her dementia, she couldn’t understand, and he had to repeat the painful words over and over. It broke my heart. His grief was doubled because she was unable to share it. The graceful picture I thought of was this one. It may not be the best picture, but it was a special moment. 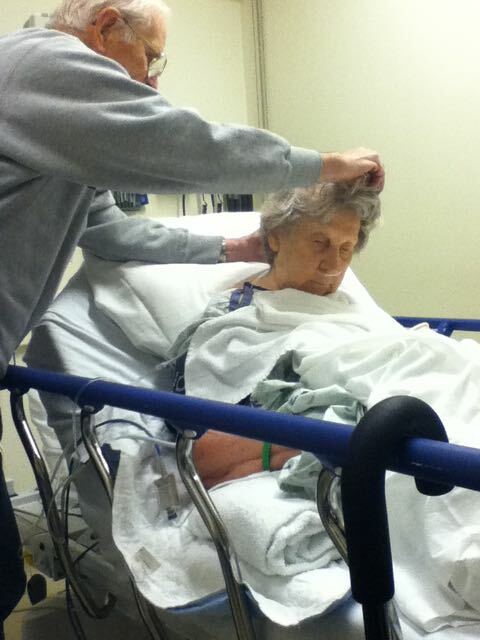 My mother was in the hospital and my father brushed her hair for her. Mothers brush other people’s hair all the time — sometimes even adding a little spit to do the trick. Of course, I never did that — added spit, I mean. But this was new territory for my father. He was a little clumsy doing it. But he wanted her to be cared for, and he wanted to be the one to do it. So he did the best he could to brush her wayward hair into place. And it was an act that was full, very full, of grace. Beautiful personal story of grace. What a wonderful picture of a life filled with love and grace. Thank you for sharing such a personal story.